In my last post, I wrote that I see a lot of anxiety about translations in US literary discussions: “… the threat of translation is the threat of a kind of excess: too many versions of too many texts by too many authors from too many lineages.” Once you add the writing form another country, the illusion of objectivity of a single “tradition” is put in doubt (of course this dynamic is often at play in smaller, non-major countries). One way this anxiety is manifested is in the skepticism about foreign texts. Whenever there’s a translation, people wonder: Is this really a major writer? Does this writer really deserve to be translated into our language? Is this translation really correct or is it corrupting the truly great poet? Or, as I noted in the essay I linked to last post, are the “young American poets” being “improperly influenced” by foreign writers without having mastered their tradition. 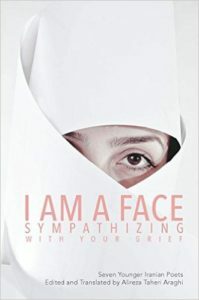 In his anthology “I Am A Face Sympathizing With Your Grief,” Alireza Taheri Araghi shows no intention of creating an illusory alternative canon of great works of Iran. 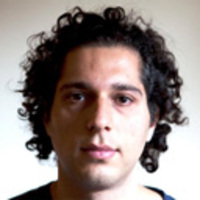 Instead he has searched out underground poets – or more correctly, Internet poets – who have not been deemed publishable by the Iranian government. In a sense Araghi has done the opposite of the typical canonical anthology; he has chosen “young” poets who excite him, many who have little or none of the official recognition that translation discourse tends to demand. crying into the cuffs of their sleeve? In other words, Araghi has produced a horrific book of translation that embraces all the things we are supposed to reject about translation: he’s deliberately not compiled an accepted canonical book, which we can then quarantine off as another instance of a “national literature.” Instead he’s created an incredibly powerful book of contemporary poetry that I think will affect a lot of American readers (and readers from elsewhere!). National literature anthologies (or “World Lit”) tend to give an impression of poetry as static, stable, masterable. Instead of this restricted economy of literature, Araghi gives as a vision of Iranian poetry in motion: a transgressive, volatile, feverish book.